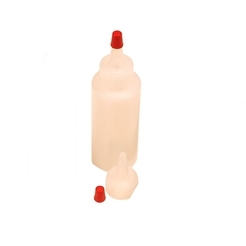 Jemmco Accu-Flo™ Bottles are refillable, with Valve Style Pen Type Dispensing Tip. This unique bottle is available in a 2 ounce bottle or a 4 ounce bottle. This unique pen style bottle can produce a nice line of fluid over large areas. 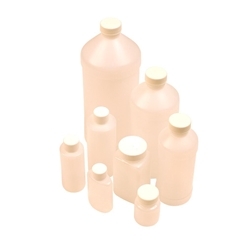 Jemmco Accu-Flo™ Dyne Test bottles are able to satisfy the needs of most applications. By pressing on the acrylic tip, the valve is opened, releasing the fluid contents on the substrate, producing a readable line to evaluate. The replaceable tips prevent erroneous readings due to contamination. The removable cap makes this bottle easy to clean and refill. 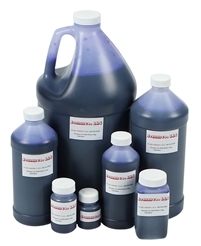 Although intended for Dyne Testing, the Jemmco Accu-Flo™ Bottles are versatile enough to be used in a variety of applications.